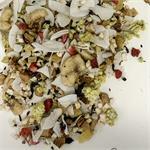 Get a kiss of tropical flavor with our Banana Split Caffeine-free fruit infusion. 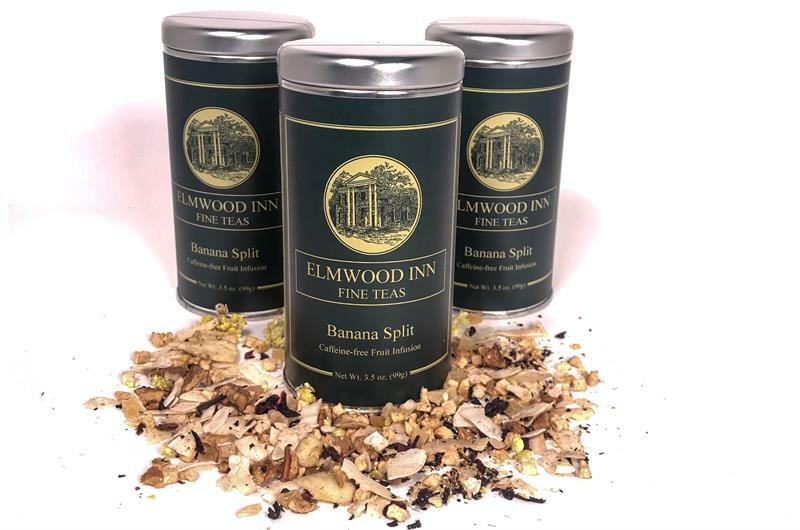 Freeze-dried bananas, mango, and coconut combine for a refreshing and unique tea-drinking experience. Perfect for children of all ages! 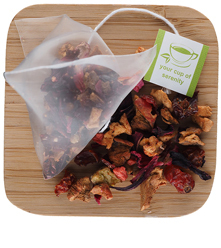 This caffeine-free tisane is bursting with tropical flavors! 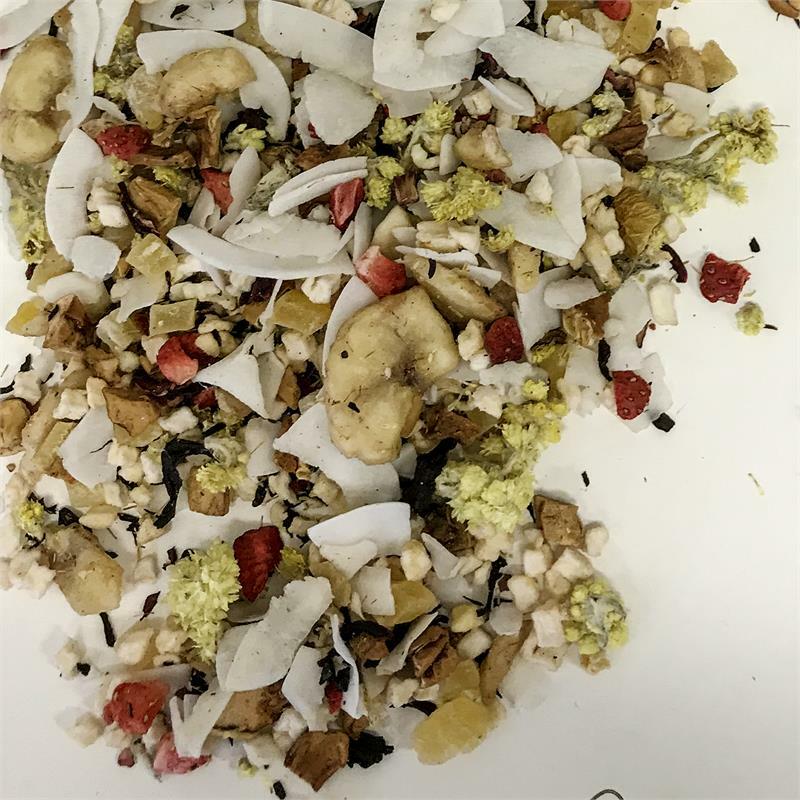 Coconut, strawberry, mango, apple, and peach pair with banana chips to make one of our most flavor-packed teas. 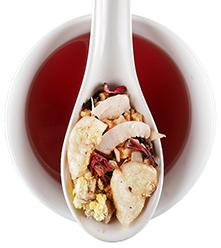 A bit of hibiscus flower gives the cup a natural light red color. The only thing missing is the cherry on top.